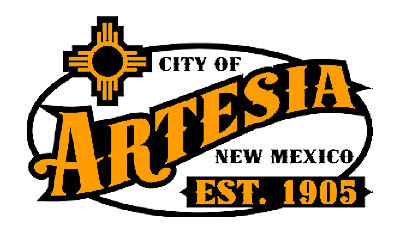 Passage of the City of Artesia’s proposed signage ordinance was postponed once again Tuesday in lieu of a special meeting next week that will allow business owners and private citizens alike to have their say. The amendments to Chapter 11 of the municipal code outlining new regulations and restrictions on signs in the community has proven controversial. They include restrictions on everything from types and dimensions of business signs – for instance, prohibiting signs that scroll, blink, flash, or have moving parts – to signs in residential neighborhoods for garage sales, birthday parties, and the like. “Our purpose is to help beautify the city and to make it look nicer,” Community Development director Jim McGuire told the council Tuesday. The department is also looking to have clear regulations in place on billboards, due to a recent influx of such signage in the Artesia, Carlsbad and Roswell areas. After meeting March 19 with representatives of the Chamber of Commerce and the local business community, however, McGuire recommended holding a council workshop before any final decision was made. Councilor Luis Florez commended McGuire for working to gather input from the business community but said he also felt the general public needed the chance to speak out; “inevitably, if we didn’t go the extra mile to do that, we would have issues with some of these, like garage sale signs and portable signs,” he said. The council elected to continue the public hearing as a special meeting set for 6 p.m. Friday, April 6, in Council Chambers at City Hall. The council also elected its new mayor pro tem Tuesday, with Florez – the unanimous nominee – winning on a 7-0 vote with Councilor Bill Rogers absent. Florez will take over the position from former Mayor Pro Tem Terry Hill, who held the office for six years. The council additionally approved the confirmation of appointive officers – Matthew T. Byers, city attorney; Byron Landfair, Infrastructure director; Aubrey Hobson, city clerk; Kevin Hope, fire chief; Kirk Roberts, police chief; Sandi Countryman, Human Resources director; and McGuire, Community Development director – as well as all current full-time and part-time city employees. All appointive officers remained the same with the exception of Byers, who takes over as attorney for the retired John Caraway. In other business Tuesday, the council heard a presentation on its 2016-17 audit from JJ Griego, CPA and managing partner of Griego Professional Services, LLC, of Albuquerque. Griego said the company prepared three reports this year on the city’s finances. The auditor’s report was given an unmodified opinion – the top opinion available – as was the federal single audit report, which was prepared due to the fact the city spent in excess of $750,000 in federal funds in 2017 on the airport improvement project. “Expenditures totaled $4.2 million, so we had to look at the airport improvement program to make sure it was in compliance with federal statutes,” Griego said. The city’s internal control and compliance audit showed just two findings, both holdovers from previous years, Griego told the council. One had to do with check transaction dates, a byproduct of the city’s switch from older accounting software and individuals not cashing checks issued to them by the city, and the second concerned the city’s accounts receivable aging and allowance. “Both dated back to 2011 and 2013 and are currently being addressed by the city, so that hopefully means there will be (no findings) in this report next year,” Griego said. The council approved the audit report 7-0. Mahone Drive resident Ignacio Mariscal once again approached the council regarding yellow striping along the curbs on the two-lane, eastbound one-way. Councilor Kent Bratcher pointed out the westbound one-way, JJ Clarke Drive, was not painted in that area and suggested city officials consider removing the striping. Councilor Manuel Madrid Jr. agreed. Mayor Raye Miller encouraged Bratcher to discuss the subject further with officials on the two committees of which he is a member, and that also would have the most say in such a decision – Infrastructure and Police and Fire. Reporting for the Recreation Commission, Rodriguez asked the city to keep gopher hole repairs at Jaycee Park and in other parks around the city at which youth sports team practice in mind when considering items for the coming fiscal year’s budget. McGuire also asked the council Tuesday to consider freeing up two lots in the Artesia Industrial Park that have remained reserved for a possible rail spur. The Community Development department presented two alternative plans, one of which would leave one of the lots open to accommodate a spur. The council was hesitant, however, to make a decision without reviewing the potential impact of such an action further. The matter was postponed until the April 10 meeting of the council. Infrastructure director Landfair updated the city on two water leaks currently under repair on South 13th Street near Sears Avenue and on First Street across from Tate Branch Auto Group. Landfair acknowledged the patching of 13th Street so soon after the completion of the reconstruction project was not ideal but said the work was being conducted by the contract company as part of a one-year warranty. In personnel business, the council approved the hiring of Bernadette Castaneda as assistant Commission on Aging supervisor at a pay rate of $2,249 per month and Jonathan Harrelson as a water technician, $2,363 per month. The council also approved a temporary 5-percent pay increase for Gabrielle Cronopulos, records clerk, due to additional duties in the absence of an assistant city clerk/treasurer/records supervisor. • a Memorandum of Understanding between Artesia General Hospital and the City of Artesia for the use of the Artesia Center. • the reappointment of Rodriguez to the Recreation Advisory Commission (term to expire March 2022). • Miller’s approval to set a public hearing for April 24 on the question of whether the Alcohol and Gaming Division of the New Mexico Regulation and Licensing Department should approve or disapprove the proposed transfer of ownership of three state liquor licenses for Brewer Oil Co. stations located at 2601 W. Main St., 101 N. First St., and 1304 S. First St. Public hearings are required by the state due to a change of stockholders/ownership. • five police employees’ attendance of an instructor refresher course in Artesia. • one police employee’s attendance of a verbal judo instructor refresher course in Fort Collins, Colo.
• one police employee’s attendance of Forensic Technician by TEEX training in Amarillo, Texas. • three police employees’ attendance of the NASRO Conference in Reno, Nev.; costs will be reimbursed by the Artesia Public Schools. • one wastewater employee’s attendance of a compost class in Albuquerque. • one police employee’s attendance of the Law Enforcement Coordinators’ Symposium in Albuquerque. • two police employees’ attendance of the Executive Leadership Institute in Hobbs. • a request by the Changing Lives Coalition for the use of the Martin Luther King Jr. Recreation Complex from 11 a.m. – 4 p.m. Friday, May 25, for the annual School’s Out Summer Splash. • a request by the Changing Lives Coalition for the use of Jaycee Park from 6:30-8:30 a.m. Wednesday, July 4, for the Star-Spangled Dash.